Elaine has a love for art and all things historical and from this studied Textiles at Stourbridge College of Art. From here, she then went on to work in Kidderminster, where she trained specifically in Carpet Design. In those days working with paintbrush and paper she spent time in each department, sales, weaving, dying, and hand sampling to gain a very sound knowledge of the whole carpet manufacturing process. Elaine saw her first design go to production at the age of nineteen. Elaine has worked for major Carpet Manufacturers in and around the Kidderminster and Stourport-on-Severn area, designing not only for the Domestic market, but also the international and Contract market. Throughout her long career of forty plus years, Elaine has built up an incredible level of skill and knowledge of design, embracing all design styles from traditional to contemporary trends. Artistically set free by technology and the forward thinking of Woven Edge, Elaine is able to use her experience of various design styles to push the boundaries of convention and to put her own unique spin on the traditional. 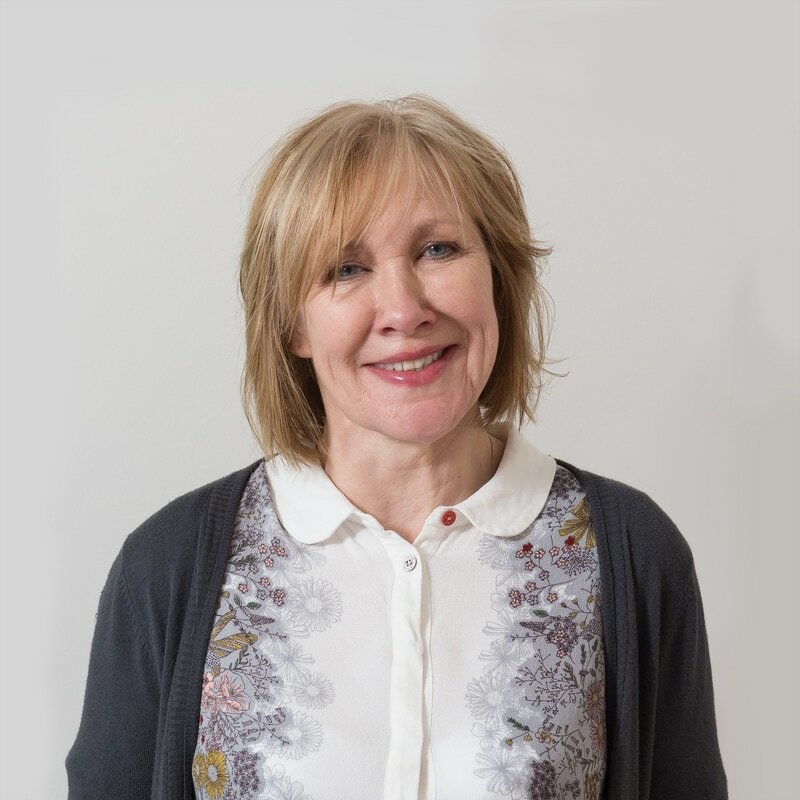 ​Elaine has two creative sons of whom she is very proud and when not designing Elaine enjoys walking the countryside with her husband and 2 dogs.